Utes will practice twice more before taking next week off for spring break and resuming drills March 19. The Pac-12 South's defending champions returned to the practice field Monday, aware of the increased expectations for the Utah football program. The losers of the Pac-12 championship game and the Holiday Bowl started spring drills, knowing they have more to accomplish. Both sentences are accurate, and that's the sweet spot for the 2019 Utes. They know what's possible for this team, amid the reality that last year's group left a conference title as an unfulfilled goal. There’s more work to do, disregarding all of the nice things people are saying about the Utes. The offense has another new scheme to learn in coordinator Andy Ludwig’s first season, amid concerns about the line. The defense must find replacements at linebacker, especially. Beyond any other factors in the program's evolution, the Utes have to remain true to their traditionally overachieving selves. Utah likely will be ranked in the preseason AP Top 25 for the first time in the Pac-12 era and there's talk about the Rose Bowl. Being in those conversations is good for the Utah brand and helpful in recruiting, Whittingham acknowledged, as long as the current players don't get caught up in them. “I think our guys are pretty well grounded,” Whittingham said. Defensive back Julian Blackmon endorsed that theory. “It’s only going to be consistent with us, just because of the guys we have here – hard workers, willing to forget about outside noise and focus on hard work,” he said. So the Utes took the field with “a lot of energy and enthusiasm, which is always the case on day one,” Whittingham said. They'll try to maintain that level for 15 sessions through April, while taking next week off for the school's spring break. Whittingham’s most recent extension had come in May 2017, when former athletic director Chris Hill added one year to his contract and created a retirement provision, The Salt Lake Tribune reported. 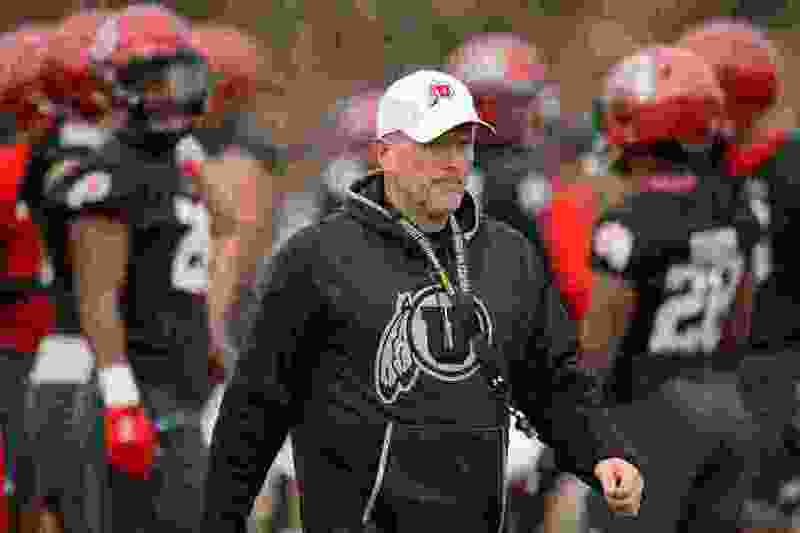 Those terms promised that if Whittingham retired from coaching as a Utah employee, he would become a “special assistant to the athletics director” for 10 years, at 10 percent of his annual salary. Whittingham made $3.8 million in 2018, according to USA Today. His record is 120-61 overall in 15 seasons and 34-38 in eight years of Pac-12 games, including a 25-20 mark over the past five seasons with five straight bowl appearances. Whittingham is tied for third among the longest-tenured head coaches in the FBS, behind Iowa’s Kirk Ferentz and TCU’s Gary Patterson.